While the mere observation that Apple has 300 employees present at the ongoing Society of Information Displays (SID) 2018 expo, may come as proof of the recent supply chain reports that it could introduce OLED screens in all of its upcoming phones, reputed analysts are putting the sources of this rumor to the test. Granted, Apple had just 200 employees attending the expo last year, but, besides OLED screens, companies like Samsung or LG, are also showing bendable, transparent, automotive, and all other types of panels that might have caught Apple's attention, including sound-emitting ones. Despite that the share prices of Samsung, which makes the OLED iPhone X panel, and Japan Display, which is said to make the LCD screen of Apple's upcoming 6.1" blockbuster, were affected by the report yesterday, today Bloomberg gathered opinions from a few analysts, who basically say - "not so fast." 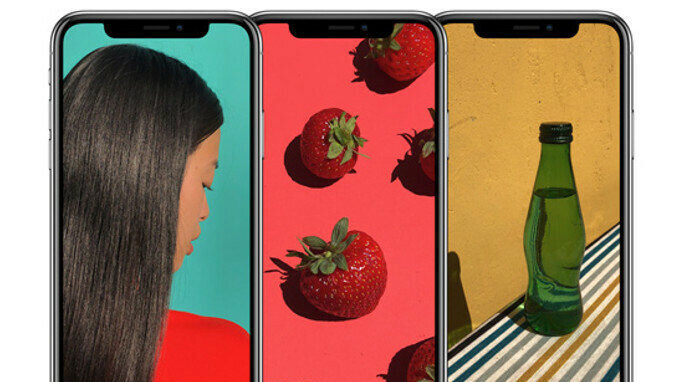 An all-in move on OLED like this, they say, is not likely to happen before 2020, as it will make the "affordable" iPhones in the lineup way more expensive to make than Apple may stomach. Moreover, there simply isn't enough capacity to supply the tens of millions of OLED panels Apple is likely to need, at least not before the 2020 iPhone crop rolls off the conveyor belts. Last but not least, Goldman Sachs analysts say that rosy financial guidance from Japan Display, which is allegedly tasked with the notch-y LCD screen for the rumored iPhone 9, make the move to OLED unlikely in the next two years or so. What may change the equation, though, is the microLED tech that Apple has in the labs. It could mature enough in the next two years, so that Apple will utilize it in at least one of its future devices, maybe even an iPhone, which will make those OLED company shares plunge for real this time. "Moreover, there simply isn't enough capacity to supply the tens of millions of OLED panels Apple is likely to need" Such BS, especially when Samsung's mid range smartphones have had OLED panels for years now. Not to mention Samsung has supplied other OEMs for years before the iPhone X came along. The whole ready by 2020 thing is such BS. Apple has already signed contracts with other OEMs to supply so many LCD displays. If you break a contract to a supplier, then there is fines involved, even if you don't take any components from that supplier. Why can't you guys ever tell the truth. I quote: "...as it will make the "affordable" iPhones in the lineup way more expensive to make than Apple may stomach." Apple may stomach, eh? Say no more, we get it! Sadly, no one cares when Apple sells a $350 iPhone X for $1300. Baa Baa Apple Sheep you are such a fool... Yes sir, Yes sir... Well, you get the picture! G'Day! Since you have to literally bend the bottom of the screen in order to minimize the bottom bezel on the iPhone X (causing the price of the phone to increase), I wonder what cost cutting measures they'll be using on the "affordable" 2018 iPhone. Well, OP6 and S9 uses AMOLED while this hella expensive iPX use OLED but different type from the others which make it possible to remove that bottom chin. iPhone X uses AMOLED screen. Any AMOLED screen is also an OLED by definition, hence the confusion. AMOLED can be bent too to remove the display chin. It's just expensive to do so and requires engineering expertise to do. Samsung does it with their edge displays, and Apple on the iPhone X. First of all, the iPhone X OLED is the same as Samsung OLED. Samsung itself makes the screen for the iPhone, and it's the same AMOLED screen. Now, let me educate you a bit on what OLED is and what phones are OLED. SPOILER ALERT: They are all OLED. Samsung's AMOLED screens stand for Active Matrix Organic Light Emitting Diodes. They basically are OLEDs which have an active display matrix, which leads to faster refresh rates. All Oneplus, iPhone X, Samsung phones, and some pixels (OG ones, pixel 2) use this tech. LG's OLED is called P-OLED, where P stands for plastic. This is because LG uses a plastic substrate for the display backplane. This allows the display to be flexible, which LG needed for the older G Flex lineup. The only non-LG phones to have this display tech is the Pixel 2XL. In short, any screen which uses organic LEDs to light up the display instead of a backplane will be OLED. I didn't mean that. Someone who has knowledge should educate you , not me. You meant exactly that. If I'm wrong, please correct me. You said Samsung and OnePlus are not OLED. but they are. I believe one plus has razor thin profit margins. Y would Apple do that for their customers? It would be a bad ROI. Just price the phone at $1,300 USD. Problem solved. Of course, why sell the sheep real premium stuff?